Beautiful. 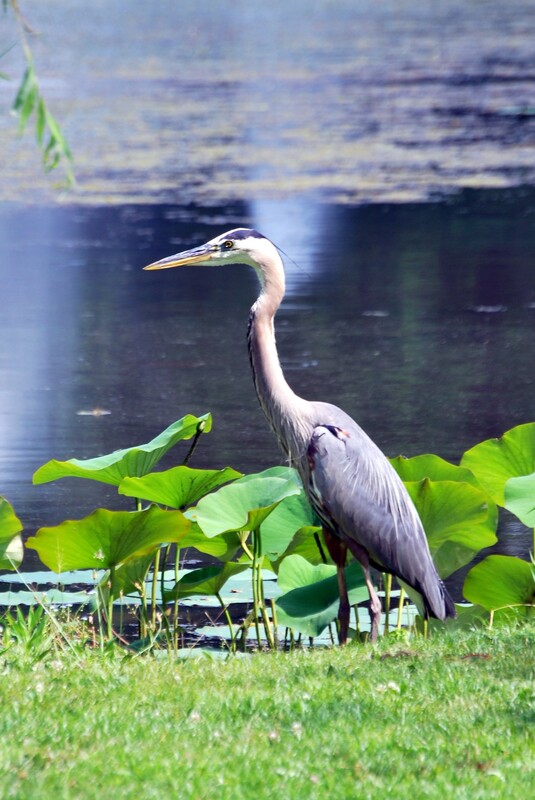 No other word can describe the Great Blue Heron who lives at the Willows in Radnor Township. I call it Big Blue. The photo above was taken a few days ago by my pal Greg Prichard. The photo below was taken by me in the same vicinity two years ago at the same time of year. If there is any doubt why we need to preserve our environment and open space, just look at this magnificant bird. You don’t see creatures like this in office parks, strip malls, and New Urbanism Fairy Tales of Transit Oriented Development. This is just excellent! Feel free to share and to “LIKE” Daily Salvo on Facebook (and comment there if you like!). Daily Salvo is on 1180 WFYL.com every day somewhere around 8 a.m. and they have a website too. 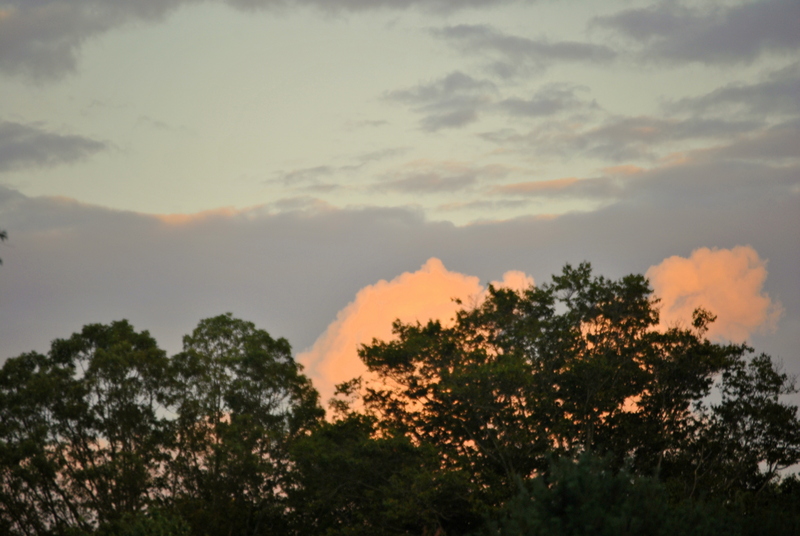 Smile West Vincent Township, tales of your escapades are spreading….just as bad news is wont to do…. Every once in a while I receive a comment that deserves it’s own post. I am about to quote one back and file it under ignorance is bliss. Jes commented on trails are for illegal dumping ? I do! There is nothing wrong with them wading in knee high depths of water where they were. Plus it’s none of your concern. So I looked online to see if any other media was covering this and other than something in the Pottstown-Mercury about kids from North Coventry looking for crawfish in the Schuykill and swimming who found guns instead. 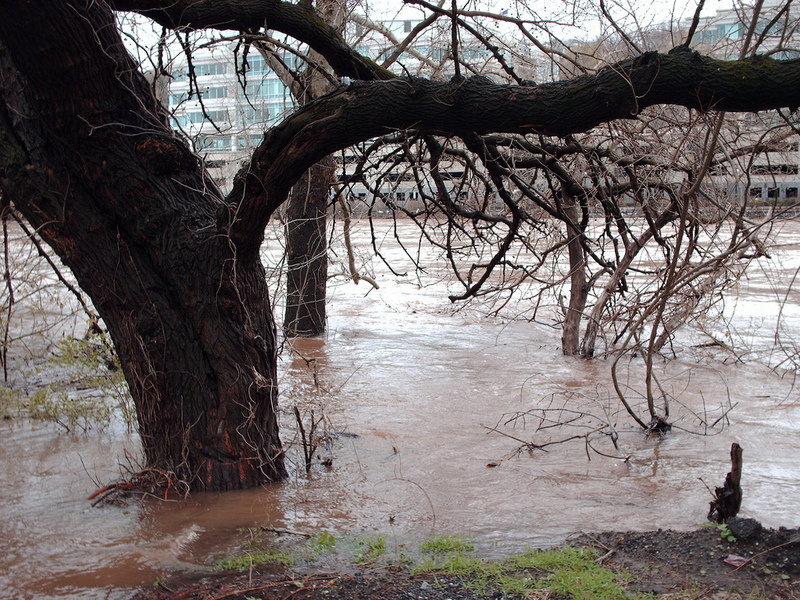 That was in the area of the Keim Street Bridge. Ok also bad, and were they decontaminated after being in the river? And who the heck lets their kids swim in the river? Well, Jes, yes I dared make a comment, and here is how I feel: telling me it is “none of my concern” to comment doesn’t quite cut it. Every year there are stories in the papers and on the news on a state, local, regional, and national level about kids and adults who don’t know enough about large bodies of water and who drown unnecessarily. Bringing it more local the Philadelphia region and being more specific, there are enough stories about kids drowning in the Schuylkill, that so sorry, I can indeed and will comment. The Schuylkill is a body of water that needs to be respected and is hardly a still pond or pool. There are currents and drop offs – wading can quickly enough become something else. So do I think parents shouldn’t let their kids swim in the Schuylkill? Yes. And what happens when this no harm/no foul swimming/wading goes bad? “We’ve had no reports of missing persons. No one has made known to us that anyone is missing, and we’ve had no additional information,” North Coventry Police Cpl. Robert Malason said Thursday….”We don’t believe it was a hoax, because they were seen in the water by at least three separate groups,” Malason said. ….. Police theorize that the two teenage boys spotted in the river managed to get out of the fast-flowing waters themselves after jumping into the turbulent river from the Hanover Street bridge, something police say area youths do too often. The report was that the two boys got into trouble right away, but managed to stop their ride downstream by grabbing onto large branches of a tree that had toppled close to the water, at least one witness told police. The witness told police he shouted at the two boys to hang on, jumped on his bike and rode quickly to the borough police station for help. By the time emergency units arrived on the scene, the boys were no longer hanging onto the tree branches. Police had to treat the incident as though they had been swept away and possibly drowned, and so the search that involved fire companies and other emergency workers up and down the river from Pottstown to Phoenixville began. First responder activity is expensive to municipalities, and I have been told these water rescue operations and even if they go from rescue to recovery are even more expensive. And there is risk involved for these first responders, you can say it is their job, but if the situation can be avoided through common sense, why not? 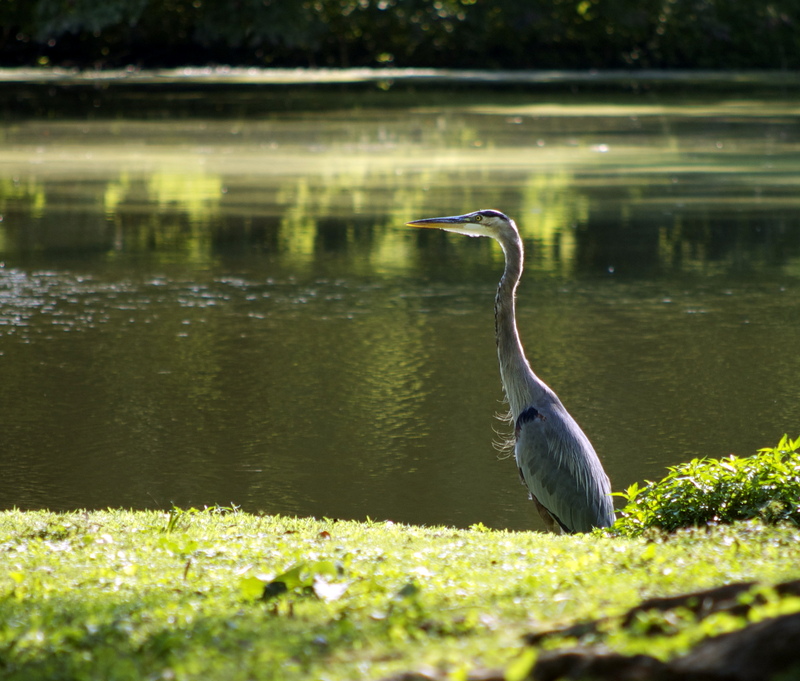 The Schuylkill River, like all working rivers, is not a pristine body of water and is subject to contamination from many sources and activities that either discharge directly, or enter the river during rain events. Because rivers are vulnerable to such contamination, recreation in or upon any body of water has with it an inherent risk of illness and infection for the individual involved. Despite the fact that it’s much cleaner than it used to be, the Schuylkill River may still deserve its reputation for being polluted – at least according to a report released March 22 that analyzes toxic chemicals discharged into all the river systems of the United States. In Pennsylvania, the Schuylkill ranked as the third most polluted waterway in the state for cumulative toxic discharges and slipped under the wire into the 50 most polluted waterways in the nation, coming in at 49, according to the report releases by the environmental advocacy group PennEnvironment. Perhaps more worrisome is that when looking at entire watersheds, the Schuylkill River and all its tributaries cumulatively rank 26th in the nation for “discharges of all toxic chemicals in 2010.”….The report, titled “Wasting our Waterways: Industrial Toxic Pollution and the Unfilled promise of the Clean Water Act,” examined industrial releases reported to the U.S. Environmental Protection Agency’s Toxic Release Inventory for 2010, the most recent data available. So commenter, pardon me for the disagree, but golly gee whillikers, swimming in the Schuylkill River ain’t what it is cracked up to be. Yes, for kids, it is a tremendous amount of fun (probably because they know they aren’t supposed to be in the river unless they are in a recreation area that has tubing and boating and similar activities), it is also dangerous. From currents to contaminants. Can I see this from my window? No. But can I comment? Yes. Heck kids can even drown or nearly drown in large creeks. The boy pulled from Ithan Creek in 2011 was in a coma as a result. He suffered as a result (brain injury), and this boy and his family are fighting every day so he will get back his life. Now obviously if you read about this boy, it’s not like he had uncaring parents who did not care what he did, but accidents happen. And if accidents like what happened to Logan Schweiter can happen in a creek, and every year you hear stories of drownings and near drownings in the Schuylkill River, why can’t people comment about this topic? Sorry, but I think it is irresponsible to say wading or swimming in the powerful Schuylkill River outside a designated recreation area is just fine. I think it is an accident waiting to happen. Well, today we need something simple that can be cooked quickly and has little clean-up. 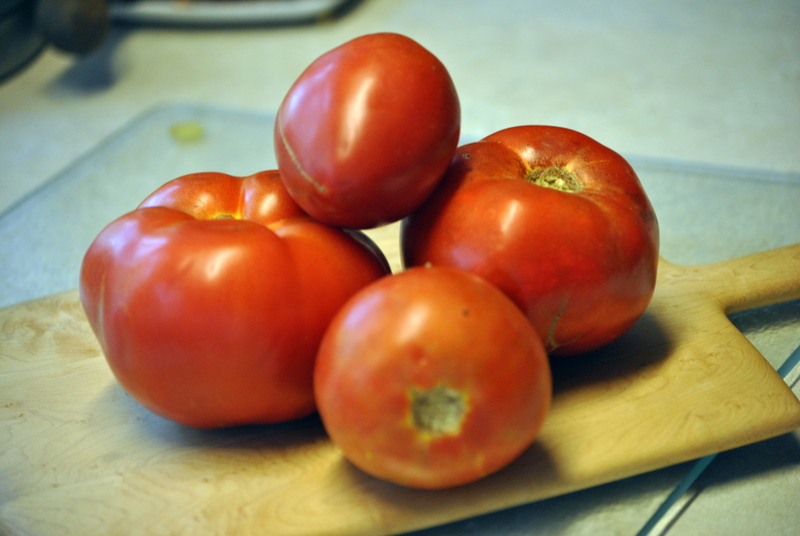 I have incredible looking tomatoes from Sugartown Strawberries, and I was feeling like grilling chicken. But I am tired of all the regular types of marinade. 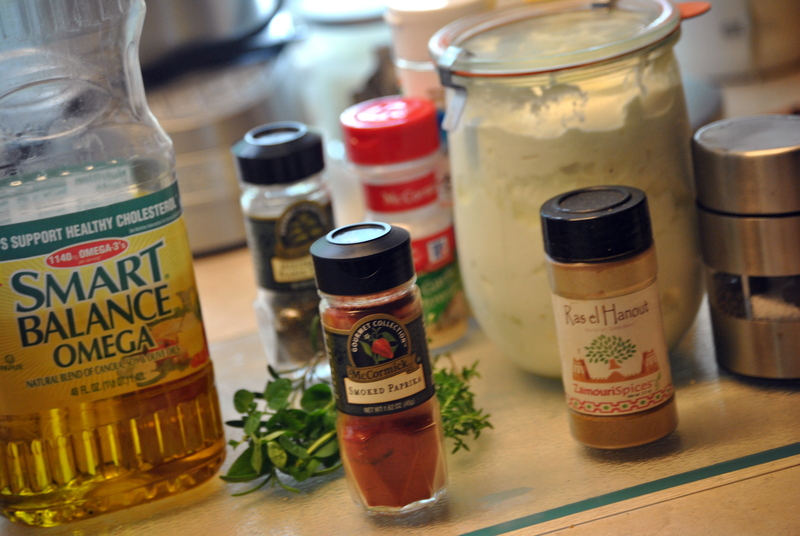 Someone was telling me about using plain yogurt to marinade chicken, so I thought why not use plain Greek yogurt? I mix it all together with a whisk and some fresh herbs – sprig of rosemary, a few sprigs of fresh thyme and oregano and fresh mint (mine is curly mint which is technically a spearmint I believe). 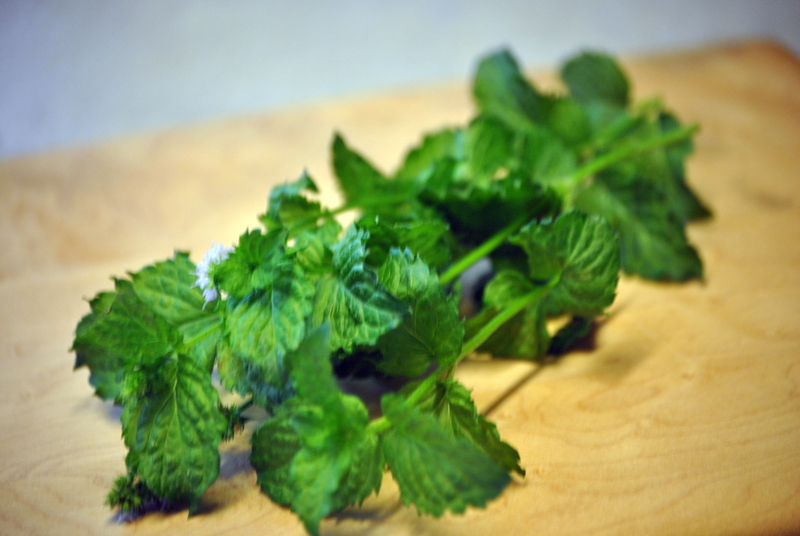 You can either rough chop the herbs or just sort fo tear up the mint leaves and strip the rest from their stems. Toss into a ziplock bag to marinade for a while and grill. I will end with that is my favorite cooking tip of the summer: using ziplock plastic bags for marinades. 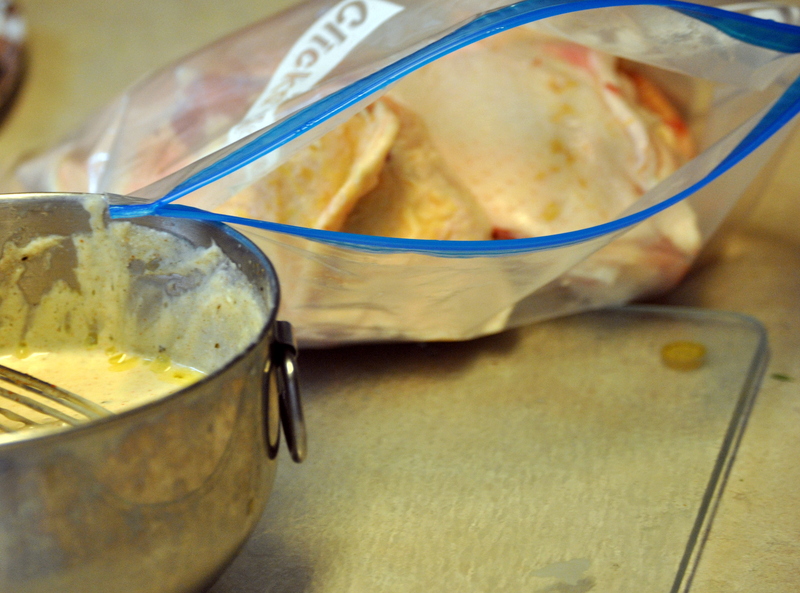 Easier clean up and so not a problem to mush your meat, poultry, or seafood around *gently* in a ziplock bag. I wrote a post recently about Historic Yellow Springs Village looking like a dust bowl run down ghost town. You ask the questions that many wonder about. Join the HYS Board, and continue to ask these good questions. They need you. Uhh no. My role is one of provocateur. I am someone who admires the village. So I blogged about it. I photographed it. I visit it. The village has a board that should be doing more and can do more. If they are unwilling to do so, they should move on. But to be on the board of Historic Yellow Springs I would have to have the time to commit and the coin to donate in the degree they need in that village desperately. I do not right now, plus I also have not decided where exactly I want to volunteer in Chester County. And if you want to consider thinking about this in a different way, my taking the time to write about the plight of Historic Yellow Springs Village and photograph it is like volunteer work. Now I did have a nice exchange back and forth with the new-ish Executive Director Eileen McMonagle. She has the heart and the smarts but she is not an island of one. I read that you feel the village is falling apart. Sadly many of the historic sites in our area are struggling because there is no funding on the federal, state or local level. HYS however has been blessed with a great group of volunteers and members who are working hard to turn the village around. As with all major projects, everything cannot be done at once. I still say her board needs to step up. I also think they need to cross pollinate with other preservation boards, and consider the other amazing people they have living close if not in the Historic Village of Yellow Springs who want to see the village survive and thrive. As in Chester Springs people. Maybe they aren’t people who have been there for decades or centuries, but sometimes you need fresh blood. And I can think of a few people right off the bat. But it is not my job to find people to help this board and village. They have the tools and creativity to do it themselves. Open: Opening Thursday August 2nd at 5:30 as part of Chester County’s Town Tour. Gallery is open weekends Saturday 10-4 and Sunday 12-4. Weekdays open by request. Historic Yellow Springs (HYS) will be hosting a diverse collection of work by talented students who attended the Pennsylvania Academy of Fine Arts (PAFA) Country School from 1917 to 1952. 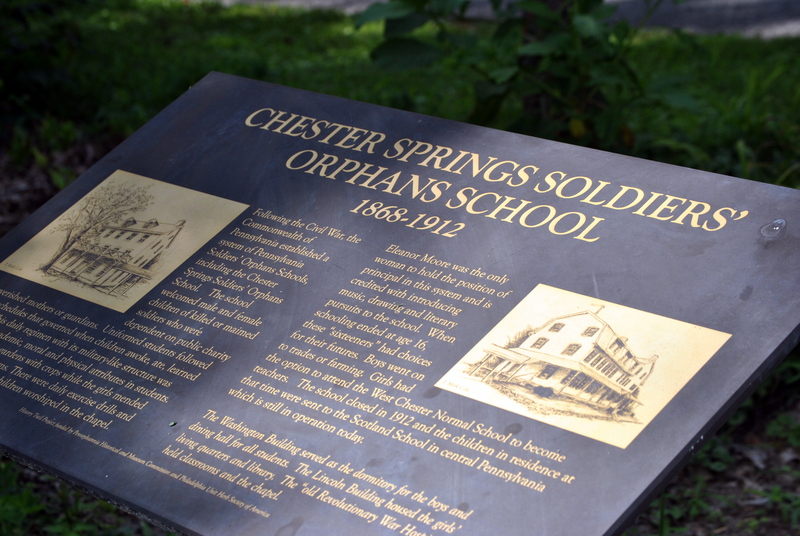 The PAFA Country School is now the village of Historic Yellow Springs, Chester Springs, PA. The beautiful landscape of Yellow Springs prompted then PAFA president John Fredrick Lewis to open a summer school for artists at the turn of the last century. The Country School provided the much needed en plein air (in the open air) style of art training to these already accomplished Academy artists. The foundation of the PAFA Country School’s teaching philosophy was the 19th century French Impressionist movement. The magnificent grounds and scenery of the Country School attracted some of the area’s best art instructors and students, including Daniel Garber, N.C, Wyeth, Albert Laessle, Roswell Weidner and Albert Van Nesse Greene. In addition to landscapes, Country School artists were educated in portraiture and sculpture. The artwork is from Historic Yellow Springs’ own archives and various private collections. Many have not been seen in over a decade. The collection of artwork features work by well known artists who attended the Country School such as Darce Boulton, Lucus Crowell, Albert Van Nesse Greene, Roy C. Nuse, Francis Speight, Dorcas Kunzie Weidner, Roswell Weidner and Paul Wescott. A number of the works were saved from destruction by Country School instructors Dorcas Kunzie Weidner and Roswell Weidner. 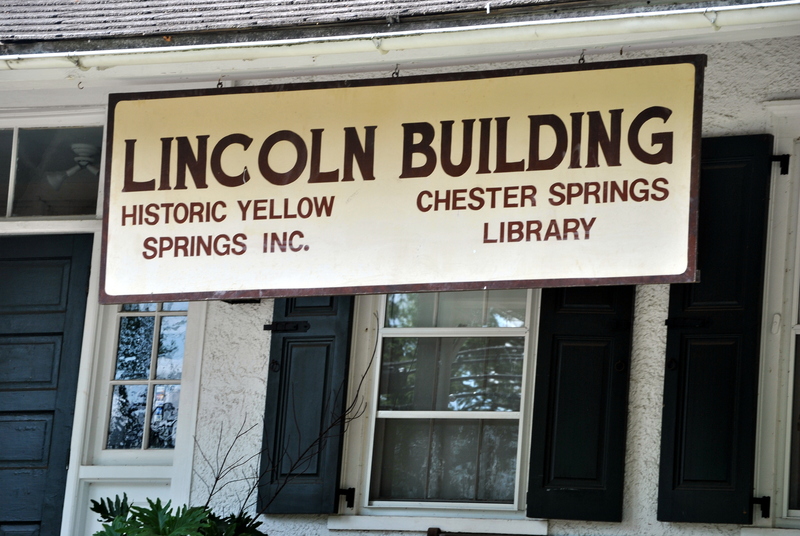 About Historic Yellow Springs: Historic Yellow Springs (HYS) is a nonprofit organization founded in 1974 and dedicated to the visual arts, the environment, and the village’s 300-year old history. The mission of Historic Yellow Springs is to share, preserve, and celebrate the unique living village of Yellow Springs. 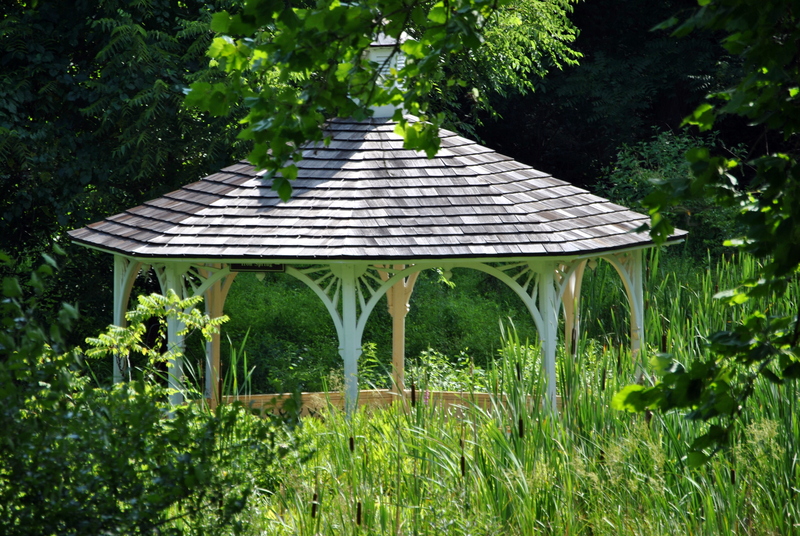 Focusing on the visual arts, history and the environment, HYS enriches the lives of all who come here. And if you know anyone on the board of Historic Yellow Springs get them to get those trails in order. Those springs made the village, and people still want to see them! And right now you really can’t. Things are too overgrown. I love being in Chester County. 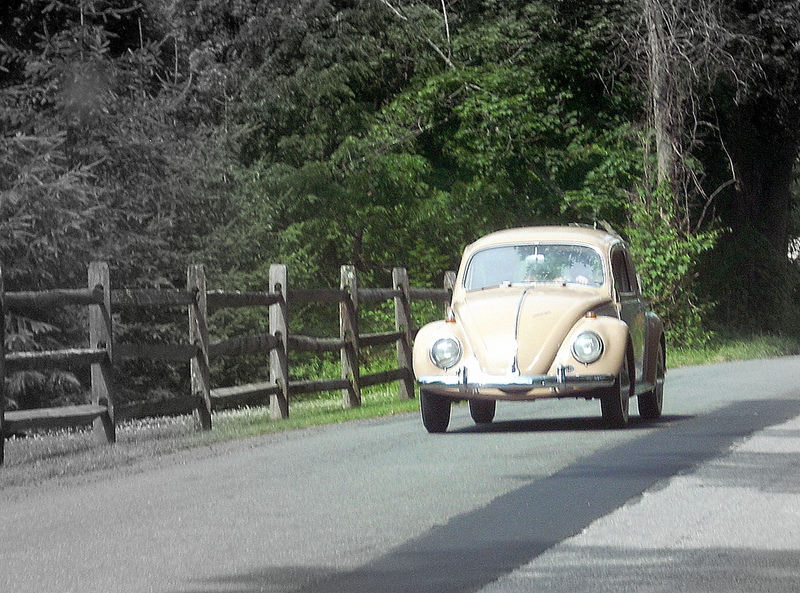 Before I was a resident, anytime anyone wanted to take a leisurely drive and explore, I was all for it. Birchrunville was one of those places. 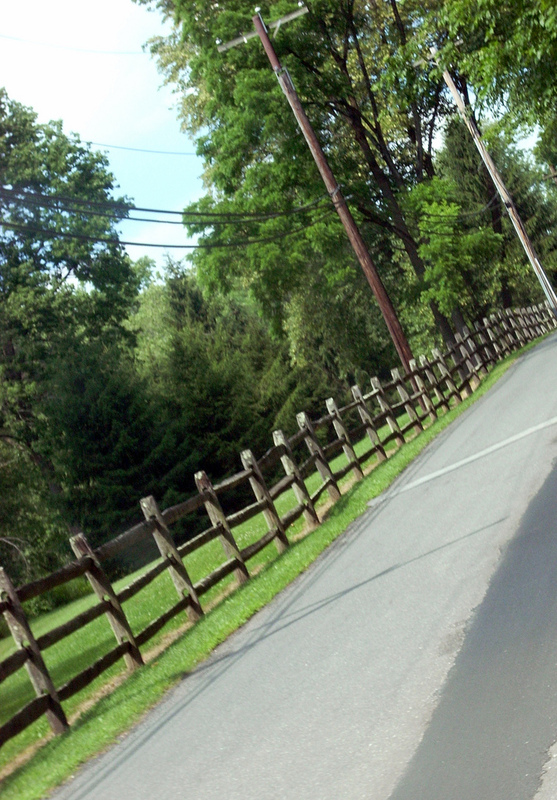 Quiet and charming, consisting of small country roads. Farms. Horses, as you can actually still ride your horse on the road which you won’t be doing if this development happens. Great old country architecture and some incredible old houses. The real deal of charm. It is NOT a place where developers should come in with their Emperor’s New Clothes grand plans for supersizing a small hamlet. The residents should not allow it, and quite frankly, any elected or appointed official who likes a plan like this should be voted out as soon as possible. We are, after all, talking about West Vincent Township. And for West Vincent Township to go from needing/wanting eminent domain for private gain at Christmastime 2011 to this plan now, well it is so very Lower Merion Township that I can’t stand it. And I can tell you how the story turns out: it doesn’t. 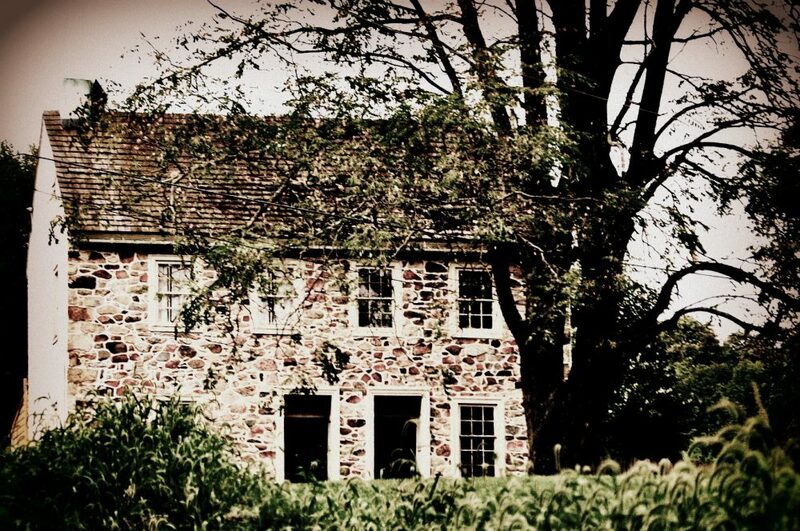 Once upon a time Lower Merion made a bid for eminent domain for private gain. Then they put people through the pain of grand redevelopment plans. All people wanted was a train station. What they got was heartache, headaches, and nothing. Well nothing except a lot of money spent on plans, plans, and more plans. A lot of the money spent was part of $6 million dollars that your Congressman Jim Gerlach got so Ardmore could have a new train station/transit center. So much of that money has been squandered that I just don’t get why Jim Gerlach hasn’t pulled the money back yet. But maybe he will and it will serve Lower Merion right. And don’t let Supervisor David Brown tell you he had no idea of what went on in Lower Merion. He was too entrenched in the politics for too many years not to know. Via his own online political resume you can see: Republican Committee of Lower Merion & Narberth Committeeman 1976 – 1990, Counsel to Committee 1990 – 2004, Member Executive Committee 1990 – 2004, Former Solicitor to Montgomery County Controller,Gladwyne Civic Association, Former Director, Former Vice President. ….a letter in February 2004 informing him that Lower Merion Township had targeted his property and those of his neighbors for eminent domain acquisitions, he was devastated and uncertain about how to proceed…. In September 2004, the Township hired an independent consulting firm to study Ardmore and assess the extent to which economic redevelopment really required condemning their properties, as local officials contended. The Urban Land Institute, an outside organization that specializes in land use and has no financial connection to the business owners or the Township, conducted a comprehensive study of the downtown business district slated for demolition, and strongly urged against the plans proposed by the Planning Commission. Instead, the Institute submitted a number of alternative approaches to the Township, all of which protect property rights and promise the same benefits the municipality sought without condemning the Ardmore properties. “We kept coming up with alternative plans, but the Township kept ignoring us,” Mahan said. In December 2004, the Lower Merion Board of Commissioners overwhelmingly approved the most destructive redevelopment option of all the plans submitted for its consideration. The proposal submitted by Hillier Architects called for the demolition of Ardmore’s entire historic district—even though Hillier simultaneously concluded that all of the buildings were in restorable condition…….the Save Ardmore Coalition continued fighting, attending all civic meetings, speaking against the proposal and especially against the abuse of eminent domain, and pursuing practically every grassroots avenue available. These plans fermented for years prior to 2004 being the year eminent domain came full out in the public eye. And during that time there were commissioners on the board in favor of this, including one Ken Davis and there is no way David Brown did not know him. Ken Davis represented parts of Gladwyne and was a fellow Republican and member of Gladwyne Civic. Trust me, not that big of a sphere. And if David Brown is for this development of Brichrunville, then he should go as soon as his term is up, but if Ken Miller and Clare Quinn are up first, vote them out. If you do not change the face of who governs you in West Vincent, you will not achieve what you need to achieve. I know because because I was part of a group who did it. We flipped five of the seven commissioner seats up in elections, and the people who came in had adopted our group’s mission to defeat eminent domain for private gain. You see, we endorsed no one. We had a position: no eminent domain. But after we defeated eminent domain and the fractured community came together once again, we were faced with re-development plans. We should have said no. And if you don’t believe how the land can be raped and pillaged by development that is not truly necessary, take a ride down King and check out the mega mess in Malvern. They got sold a New Urbanism Fairy Tale and they will rue the day when all is said and done is my prediction. I am not anti-progress, but I am anti-supersizing it on the theory of build it and they will come because it is not true. All this hoo ha over transit oriented development. It’s suburbia, people will always drive, always have cars. Duh. Malvern got themselves a nice new train station, and if this current development being built was much smaller and in a scale actually in keeping with a very small town? Well we might be having a different conversation. Instead, West Vincent, you are being presented with cautionary tales. Rise up, support folks like BirchrunvillePeople who are trying to do good. And if you feel your government is not quite right and not quite ethical, hello it is a MAJOR election year. Your congressman needs more than checks from fat cats to survive, he needs votes. Get him to come around an you show him what you are trying to preserve. Go to the state. Surely the Attorney General’s office and ethics board are there for a reason? But you have to do it for yourselves. This video like the one up top is awesome. Kudos to whomever did that. It literally shows people what you are talking about. None of this will be easy, but you defeated eminent domain for the time being, so keep on keeping on and save Birchrunville too. After all, you may or may not realize that developers as much as they love to destroy small towns, also love to recreate them. You have the real deal. Preserve your way of life. And don’t be swayed by “oh but look we can improve our roads.” Beg to differ. If your roadmaster actually took the proper care of the roads you would be fine. But what will happen with road improvements if development occurs? It will look good for a while because it is new and then it will be back to mainteance business as usual so what is the difference? This historic school house could be easily sold and preserved from what the video says. It is YOUR community. Make that happen. YOU are the taxpayers. YOU are the voters. Once a way of life is destroyed, it is gone. meandering through, writing about whatever strikes my fancy. 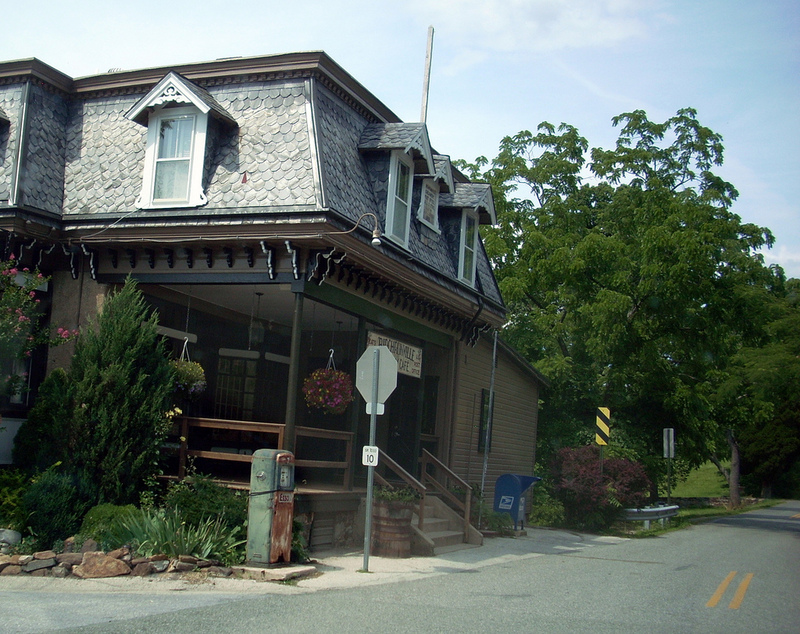 Go ahead…you know you want to…Like chestercountyramblings on Facebook!